Do you struggle to be paid well for your writing? You may find it hard to believe, but good clients are everywhere. Yes, prospects willing to pay for quality content abound. Then why is it so difficult to find them? It depends on where you’re looking. If you look at places where cheap content sells, you’ll get cheap clients. But what if you’re looking in all the right places like job boards and websites with well-paying client listings? You may still not succeed in landing the highly-paid gigs you want, because it is way too hard to stand out from the crowd in their inbox. Here are six ways to help you be a well-paid writer. Help someone before asking for what you want. It’s the first rule of networking. It is imperative to build trust by offering genuine value, because that’s how you create relationships. And relationships mean everything for your business. How do you help a client even before they express interest in working with you? Every 6 months, make a list of clients you’d like to work with. Find contact information from their website. If it’s a large publication or business, you’re looking for someone not too high in the ranks. For example, between an editor-in-chief and an executive editor, you want to write to the latter. Write to introduce yourself and offer help (also known as a Letter of Introduction). Is their website lacking a blog? Can you help them gain more shares on social media? Can you suggest ways for them to improve their content marketing strategy? Basically, you’re looking for your ideal prospects and offering them ideas before any promises are made. 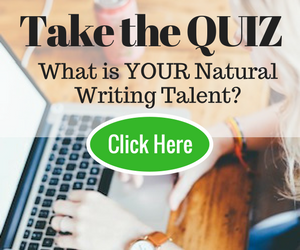 Demonstrate you’re the right writer for their business. If they don’t hire you, you’ve still made a connection. Check in with them every few months. I’ve had clients who hired me a year after we first connected. You have a LinkedIn profile but it’s sitting there, untouched for months. Or perhaps you add “connections,” but don’t know how to use it as a marketing tool to get clients. I can’t tell you how often I’ve found a client from a simple LinkedIn email. It’s my first go-to place to look for new clients when there’s a vacant slot in my schedule. Check in every two days or so to catch up with what’s happening in your network. Use the “Who’s viewed your profile” feature and check out their profile. Do they look like an ideal prospect? Email them and ask how you can help. Accept LinkedIn requests from “strangers.” LinkedIn is not a personal platform – it’s for professionals. So don’t ignore connection requests from people you don’t know. There may be a future client hiding in the bunch! Send Thank You notes to people who accept your request or add you. In the note, ask how you can help and show interest in their business. Ask relevant questions about what they do. If you’re the type that hates in-person networking events, you’ll love LinkedIn! Almost every successful blogger I know has used guest posting as their number one strategy. Why? To build connections, of course. Remember the number one rule of networking? Give before you ask. Find blogs that cater to your target audience. You may have to experiment a bit in the beginning. Install Google Analytics on your blog and notice who’s sending you the most traffic, the most engaged readers, and the most conversions. I’ve spent as many as 10 hours per guest post (yes, you need to be that crazy about it), and I don’t hit “Send” unless I’m sure it’ll blow the blog owner’s mind. If your guest post is accepted, share the heck out of it on social media, and answer every comment. Once you become a regular contributor, influencers in your industry recognize you, and are more open to returning favors. Plus, their readers discover you. I’ve been found by clients willing to pay as much as $300 per piece through my guest posts. Not too bad, huh? Technology is sweet. but it also makes us lazy. You can work on international assignments with a click of the mouse. But in doing so, are you ignoring lucrative clients in your backyard? How can you identify companies that are willing to pay a local freelancer? One way is to start with local magazines. They may be magazines for lawyers, housewives, mums, small business owners and so on. Pick one and study the ads, because you want to know who’s spending money on ads. These companies must need copywriting help. List your findings in a Letter of Introduction to the company. Tell them how you can help. Keep it simple – and human. Done right, this works like a charm. Many people tell you not to measure your success with money. With all due respect, I don’t buy that. Of course, money’s not everything. But it is a good measure. Let’s be honest: if money is not at least one of the reasons you’re freelancing (alongside lifestyle, creative outlet etc. ), then you’re in for a rude awakening. Freelance writing is a business. Don’t treat it as anything less. Making good money should be one of your aspirations. With that out of the way, how much do you want to make per month? Per year? Do you want to replace your 50K per annum full-time job income? Or do you want crack the six-figure mark? Once you have the goal in writing, you know exactly how much you need to make each month, week, and day. Stretch the logic and you know how much you need to make per hour. Write the figures to get a perspective of what you’re working towards. Then every year, stretch your comfort zone a bit. Many will say they are desperate to succeed as freelance writers. Many even quit their job! But quitting your job doesn’t mean anything if you don’t take the next steps. Do you make the three rounds of edits your client has asked for? Do you put marketing on top of your to-do list? If not, you won’t be making money for long – if you make any at all, that is. It’s time to give up the idea that hunting for jobs on job boards will make clients come running your way. It’s simply not going to happen. There is no “right” roadmap to making X figures from freelance writing, but you can boost your chances by applying the tips shared above. And remember to keep correcting course. Getting smart from the get go will get you there faster. Get you where? Sipping margaritas on an island, of course. Unless you’d rather be elsewhere. But that comes only after you’ve put in the work. Oh this is really a great informative article for writers . Thank you very much to post this kind of article . this is really helpful and useful . What a wonderful post with such good SPECIFICS! It will help a lot of people…if they take action on these ideas. PS I’ so sorry I’ve taken so long to read and reply — I’ve been busy meeting writing and editing deadlines for clients (ha, ha!). I do know what you say above works…and the better I get at those things, the better it will work. Great to see you here. I’m glad you found the tips useful and specific. I’m surprised you didn’t mention specializing, so I’d make that a big #7. Everyone has some kind of skill, desire, or experience that would enable them to specialize in a particular area of interest, business, industry, application, or technology. There’s money to be made in many areas that few are interested in touching or are able to touch. Instead of fighting it out in the over-saturated general-topics market, set out for more promising, less-competitive, specialized-subject territory. Companies, organizations, and publications are much more willing to pay bigger money to writers who understand their marketplace. I am not a writer by “trade” but I do write blog articles and online articles as a service for my virtual assistant business. Anyway, I just wanted to say thanks for the great tips. I use linkedin and have gotten clients from linkedin but must admit that I shy away from directly contacting people on linkedin unless they initiated first or I was simply commenting on an article or group discussion. This well-paid writer email is a reminder for me that I can do more on the marketing side of my business, especially on LinkedIn and in my local area. I am book-marking this email for later use. Thanks a bunch!! Can I add a variation / addition to #1 and that’s to offer to do it better! I have a number of clients now where I found that their website or some other writing was poor and I sent a sample of how I could improve it! Be bold about where you can add value. If they say no then you’ve spent maybe 30 minutes on editing a couple of paragraphs … but then again they might say yes! Absolutely Graham. That’s the whole idea. You can spend some time helping them out before anyone talks business. It’s can be a rewarding exercise. Very informative article. Point #4 is one area that I want to exploit more. I write features for a local newspaper, but need to look at the ads more to assess future potential markets. Thank you. About small businesses, people can also approach them for offline writing as well. Many businesses need “consumer awareness guides,” education-based marketing material that people can take with them. I never got it off the ground, but I once pitched a few business located closely together to create a unique guide for each of them that would feature coupon offers, one from the other. But even though this ambitious idea didn’t work that time, that doesn’t mean it couldn’t work very well in another context and at another time. If I were to do it again, I would create a free sample for just one of the businesses, get them on board as a client and then approach the others. That does sound like a unique idea. Does it work like an offline whitepaper or a case study? Let us know how you go when you put it into action! Thanks for sharing it with everyone. What a nice surprise to see your article here!! As usual, your information is spot on!! Thank you. So simple…..so straight to the point……so real……so informative…….so rich…….so……so……so……. Thanks Mary and Pooja for this So….wonderful eye opener. Trust you also enjoyed the pancakes along with the article! Good to know 🙂 Am glad you’re loving the ride! This is excellent information! So many freelancers give up because they don’t know how to really make this path work.